Do Homeowners Actually Care About Green Technology? A great read from iHome Systems, a complete Residential and Commercial Automation company in Boston. A new study by Retrevo found some pretty surprising results. The words “green” and “electronics” don’t seem like they belong in the same sentence. That said, there are plenty of companies out there looking to make gadgets and other electronic devices a little more Earth-friendly. However, does that average consumer really care? The response is mixed, according to a new survey by Retrevo. 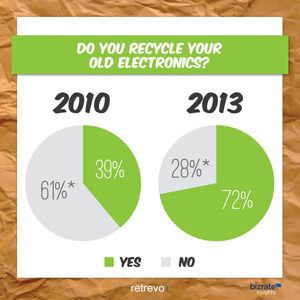 The good news is that a lot more people seem to be recycling electronics these days, when compared to the company’s research from three years ago. According to the new data, 72 percent of survey respondents claim to be recycling tech goods, which is up from 2010’s 39 percent. However, the most common reason for not recycling remains the same: people are just too darn lazy.